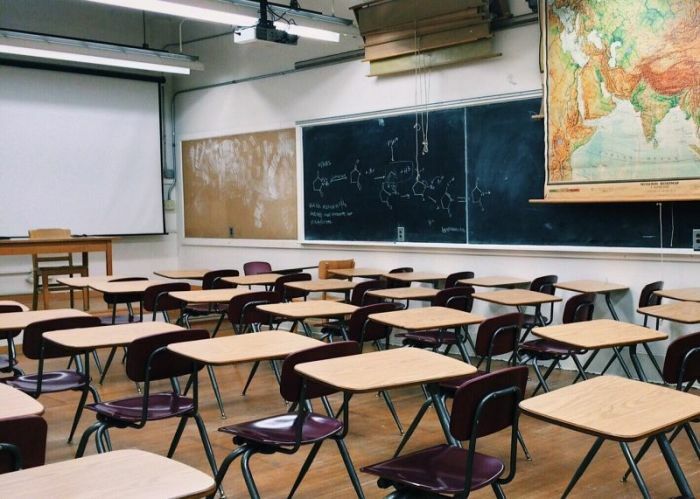 An Indiana school district secretary was forced to remove a Bible citation from her email signature after a Wisconsin-based atheist legal group sent a complaint letter demanding its removal. Sarah Mullins, an executive secretary in the Fayette County School Corporation, was recently instructed to remove a reference to Hebrews 6:19 from her official school email signature. The order comes after Superintendent Scott Collins received a letter last Wednesday from the Freedom From Religion Foundation, which advocates for strict separation of church and state and has over 400 members in Indiana, claiming that Mullins was in violation of the Establishment Clause of the First Amendment to the U.S. Constitution. The letter was sent after a local resident contacted FFRF about how Mullins' school email signature included the words "Hope anchors the soul. Hebrews 6:19." The letter asked the school district to have Mullins remove the religious reference from her email signature. FFRF letters are typically followed by warnings that a lawsuit will follow if their demands are not met. It didn't take long for Collins to respond. According to a news release published Friday, Collins emailed last Thursday to explain that the issue had been resolved. "Thank you for the notification about this report related to one of our school secretary's email signature," Collins wrote. "I contacted her direct supervisor, the school principal last evening [Sept. 20] and notified her about this and the need to have it removed. The principal notified me this morning that she met with and discussed this scripture quote and reference in her email signature and that the secretary, Sarah Mullins, has removed it from her email signature effective today [Sept. 21]." The original FFRF letter, which was sent to Collins by attorney Ryan Jayne, argues that Mullins' inclusion of the Bible verse in her official school email signature was an endorsement of religion that could be "attributable to her employer." "It is inappropriate and unconstitutional for the district or its agents to promote a religious message because doing so conveys government preference for religion over nonreligion, in this case, Christianity over minority religions," the letter reads. FFRF praised the school district's swift action after Mullins removed the Bible verse, and hailed their victory. "This is why we do what we do," FFRF Co-President Dan Barker said in a statement. "Oftentimes, school officials respond appropriately when contacted about such constitutional violations, and we're glad that was the case in this particular instance." This is not the first time that FFRF has forced school officials to end their promotion of Hebrews 6:19. In August, FFRF claimed another victory after a New Mexico elementary school painted over a mural in a hallway that included the words: "Hope Anchors the Soul. Hebrews 6:19." "This display violates this basic constitutional prohibition by creating the appearance that the district prefers religion over nonreligion and Christianity over all other faiths," FFRF legal fellow Christopher Line wrote in a complaint to the Clovis Municipal School District on Aug. 15. FFRF has also claimed that it's unconstitutional for U.S. senators and even football coaches at state-run universities to post Bible verses and share their faith on their social media accounts. "Partly because of the power and influence of [social media] accounts, the private social media accounts of people who assume government office can become accounts that speak for the government, unless these officers carefully distinguish their public and private roles," an FFRF letter to Republican Florida Sen. Marco Rubio sent Aug. 22 states. However, the FFRF letter doesn't seem to have bothered Rubio. The former presidential candidate tweeted Sunday morning the words of Isaiah Isaiah 55:8. "For my thoughts are not your thoughts, nor are your ways my way," Rubio quoted.